Green Kid Crafts: Natural Science Made Fun! Like most children, our littles love to have fun while getting messy and like most parents, we love when they are learning in the process. That is the main reason Green Kid Crafts is so perfect for our family! Who are Green Kid Crafts? Green Kid Crafts is a subscription service specializing in STEAM projects (science, technology, engineering, arts, and math) that not only teach about the world but is also full of environmentally friendly products. Launched in 2009 by a working mom and environmental scientist, these products deliver discovery, learning, and fun perfect for children ages 3-10. The boxes are 100% recycled and they use recycled labels and envelopes for shipping. They integrate eco-awareness into their box themes as much as possible. They minimize packaging and printing and use recycled materials. They bundle materials using plant-based, compostable clear bags. They avoid craft foams and plastics. All of the supplies can be composted, recycled and/or reused when possible. Green Kid Crafts give back. At least 1% of sales is donated to environmental organizations through their membership and 1% for the Planet. Green Kid Crafts offers subscriptions in monthly, 3-month, 6-month, and 12-month increments but they also sell their discovery boxes and steam science kits individually. Our family did a three-month subscription trial and honestly, I was a little blown away with how well thought out the details were in our Green Kid Craft boxes! The “Nature Discovery” box was our favorite by far but the “Color Science” box was exciting and fun as well. 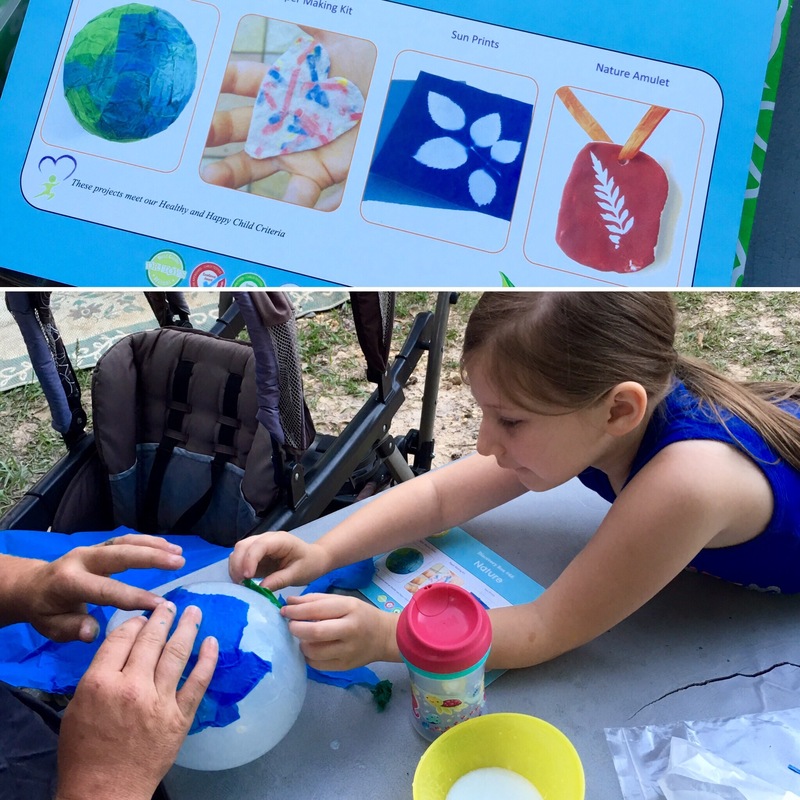 The best part of the “Nature Discovery” box according to the crafting trio was the paper mache globes. The box included two balloons and enough paper to easily decorate both. The glue was easy to prepare and The Mister took over assisting Miss Priss while I helped Wild Child mix up the ecofriendly paint for the nature amulet. Green Kid Crafts even thought to include small leaves to use for the amulet imprints! The littles’ two favorite activities from the “Color Science” box were the paper towel color transfer experiment and the spin art. The Mister got in on the spin art and we all had some fun creating! There were also more than enough supplies for Wild Child and Miss Priss to enjoy the crafts making the single subscription even more worthwhile. Want to know more about Green Kid Crafts? You can read all about what they have been up to lately over on their blog or visit their awards page to see how they are affecting the world about us for the better. 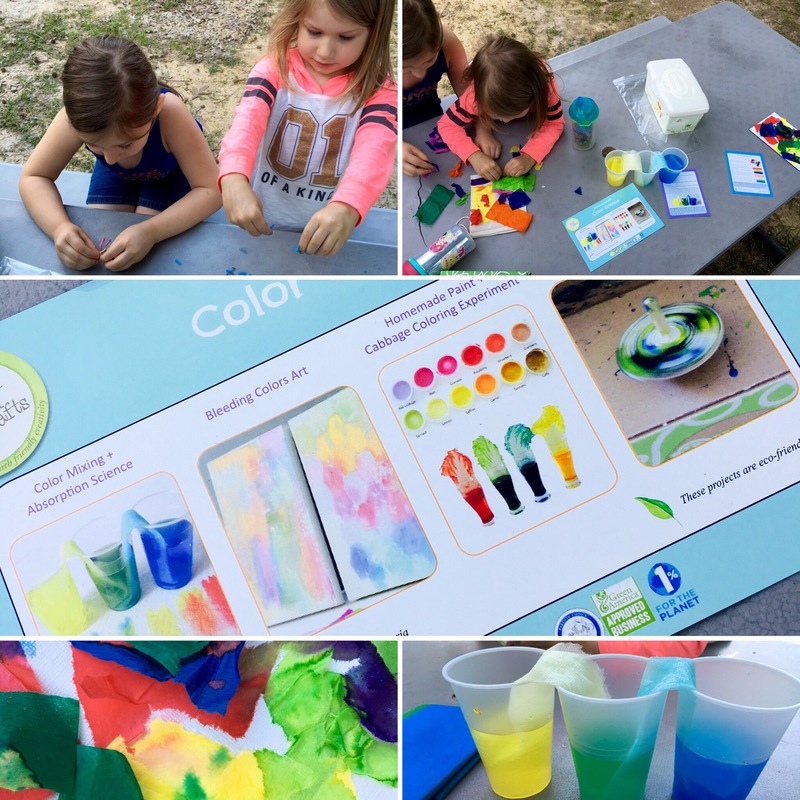 Ready to experience Green Kid Crafts for yourself? Head over to the Green Kid Crafts shop!